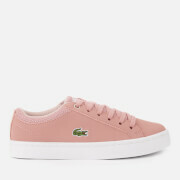 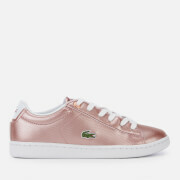 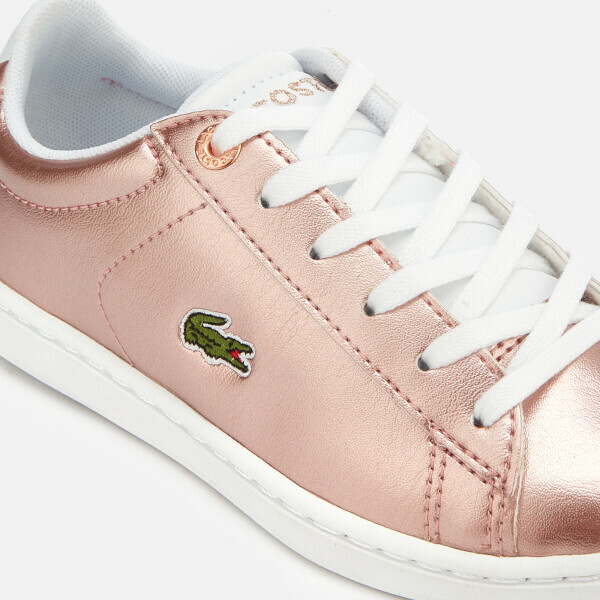 Kids' Lacoste trainers with metallic pink uppers. 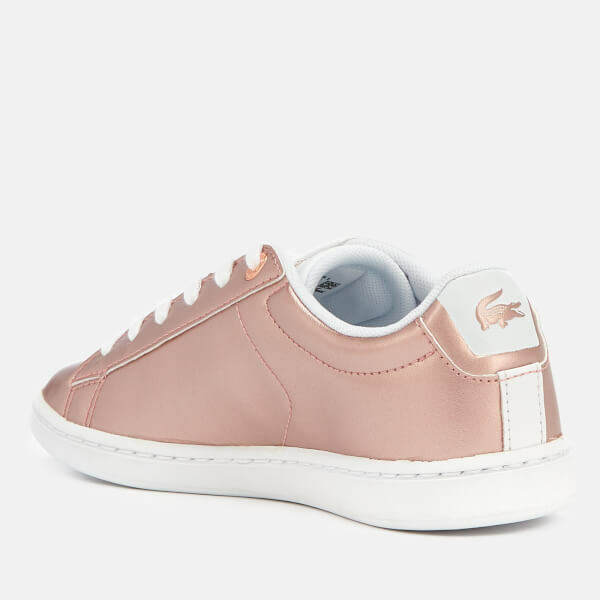 Crafted from faux leather to form a sleek, low top silhouette, the 'Carnaby Evo 318 2' sneakers feature a rounded toe, lace-up fastening and a padded collar for enhanced comfort at the ankle. 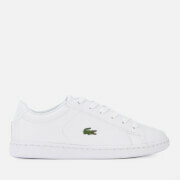 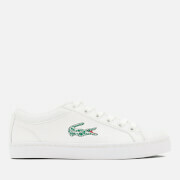 Set upon a durable rubber sole and finished with signature embroidered crocodile motif to the outside foot. 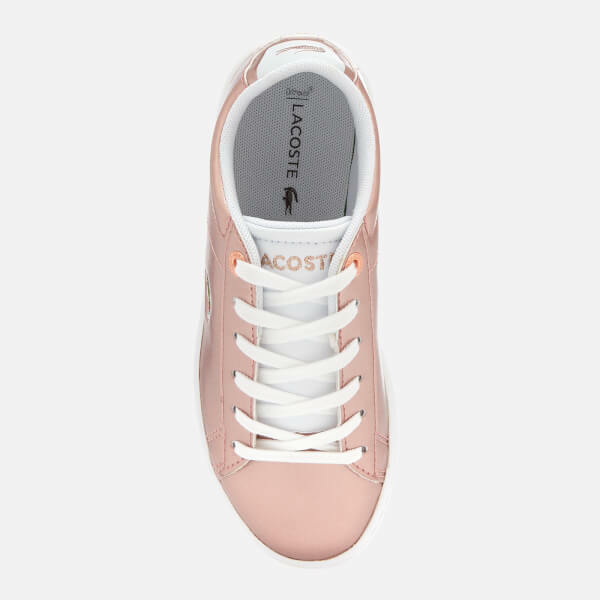 Further branding to the tongue and rear collar. 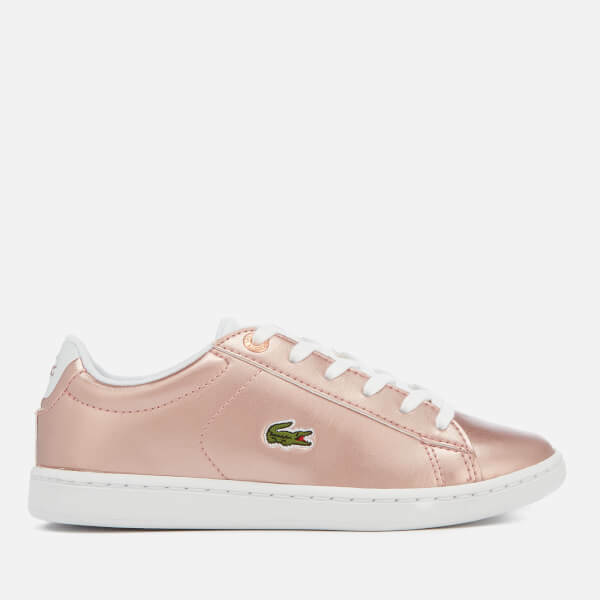 Lined in breathable piqué mesh.